Stories have been swirling around about another amazing use for coconut oil: Coconut Oil for Alzheimer’s Disease. It sounds incredible, but people are reporting success using coconut oil to treat their loved one’s dementia. So why does coconut oil work for Alzheimer’s? Since this subject can be a maze of jargon, I’m going to write about this topic in as plain of English as I can. 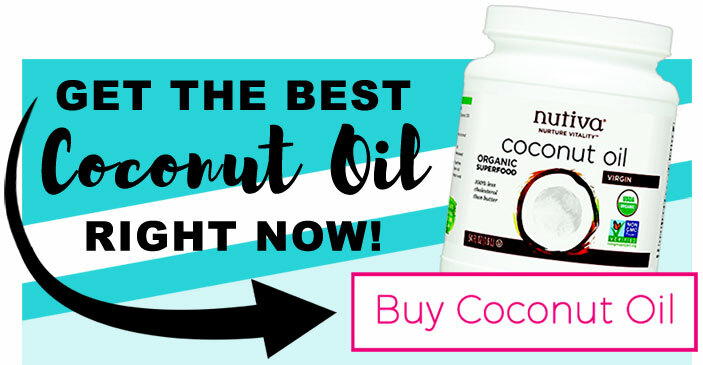 Why Coconut Oil for Alzheimer’s? Basically, coconut oil provides fuel for the brain when other types of fuel aren’t working. It is now thought that Alzheimer’s Disease happens when the brain has trouble using glucose (from carbohydrates) for fuel. Thus, the brain slows down and has trouble making new memories. Luckily, it turns out the brain can get another type of fuel from fat. These fuel bodies are called ketones. Our bodies can make more ketones from a type of fatty acid called Medium Chain Triglycerides. And these are exactly the fatty acids that are in coconut oil, yet are otherwise rare in nature. So while saying there is a Coconut Oil Diet for Alzheimer’s may be apt, it’s even more accurate to say there’s a ketone diet, and that coconut oil is a helpful aid for such a diet’s success. This, in a nutshell, is the reasoning behind using coconut oil for Alzheimer’s Disease. Is Coconut Oil Proven to Help? Book: Alzheimer’s Disease: What If There Was a Cure? Coconut oil for Alzheimer’s has not yet been tested or proven scientifically. What has been demonstrated, however, is that a drink made with Medium Chain Triglycerides extracted from coconut oil can help, as it did in a 2008 study. It’s an easy leap then to coconut oil, which is rich in this compound. Dr. Mary Newport made this leap herself after she learned about MCTs and then decided to try coconut oil to help with her husband’s dementia. After she started giving him coconut oil, his Alzheimer’s symptoms improved drastically, and he even passed a memory test that he previously couldn’t. Dr. Newport is the author of the book “Alzheimer’s Disease: What if There was a Cure?” The book focuses on ketones and diet in treating Alzheimer’s symptoms. Since then, many anecdotes have popped up online about people’s personal success with coconut oil for their loved ones’ Alzheimer’s. 2. Depression lifting and mood stabilizing. 3. Ability to speak improves. 4. Motor function (walking, etc.) improves. Make sure to use only unrefined, “virgin” coconut oil. Any other type of oil is refined, which damages the MCTs and turns them into trans fats. The point is to keep the MCTs in tact. 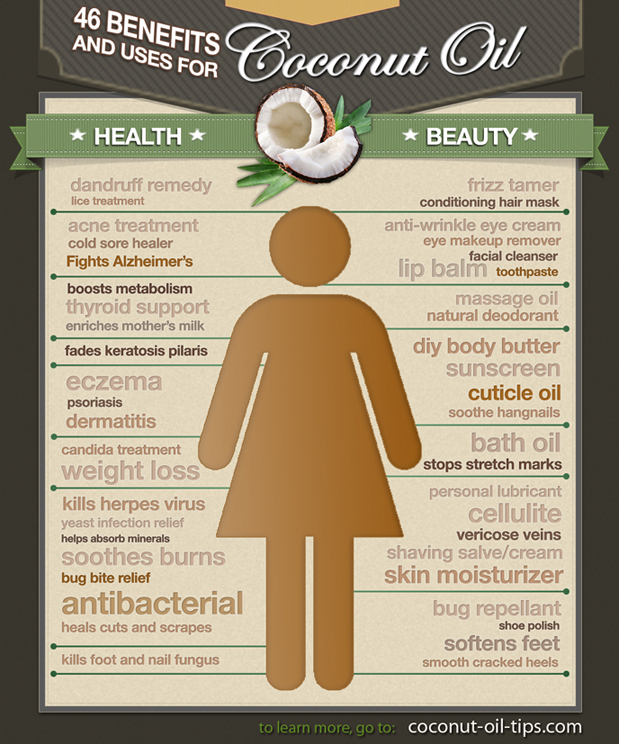 (How to Choose the Best Coconut Oil). 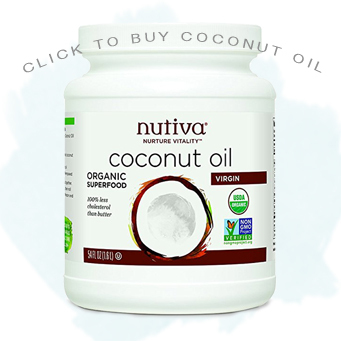 I use Nutiva coconut oil as it tastes the best and is organic, unrefined, virgin, and stored in safe plastic containers. Dosage is one to three tablespoons per day depending on body weight. You can mix it into oatmeal, use it as a spread for toast, or as a butter substitute in cooking. I get my coconut oil by mixing it into my green smoothies (recipe here). Coconut Oil is rich in Medium Chain Triglycerides, which can help fuel the brain when carbs no longer work. Coconut Oil is not a cure for Alzheimer’s, but it is worth investigating as many people report success with coconut oil for Alzheimer’s in their loved ones.